They all were high-skilled musicians and that was the key of their achievements and popularity in Latvia, whole USSR and even Eastren and part of Western Europe. 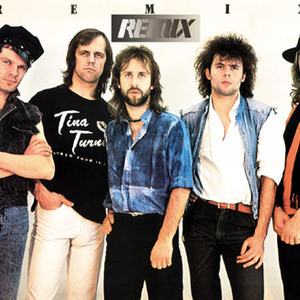 In the beginning Remix were ment to be a studio-type band, though later destiny turned in a different way and Remix became one of the best touring rock bands in USSR. All their albums perfectly showed the mastery of Remix - skills of the band members, the quality of recordings and sound engineering. The work of Remix sound engineer Andris Grinbergs was highly valuated in whole USSR. In 1992 Remix turned into a band titled Riga which didn't last for long and splitted up after spending one year of rehearsing and concerting in USA. In 1995 Remix rejoined for one 10-years anniversary song Release Me Now and even made a video for it. In 2003 the Remix DVD was released - it contains all videos of their songs and also some concert-recordings and interviews of members. In summer 2006 Remix celebrated their coming of age (21st anniversary) with a concert in Jurmala, concert-hall Dzintari.